With today being the last day of August and the feeling of fall starting to creep in, I wanted to sneak in one last summer sipper. Here in Vancouver we felt a real turn in the season this past weekend. Torrential rains and forceful winds that brought trees down and put many of us out of power for more than 24 hours. While I'm sitting at my desk with a view of grey skies and the pitter patter of rain, I'm determined to hang onto what is left of summer. 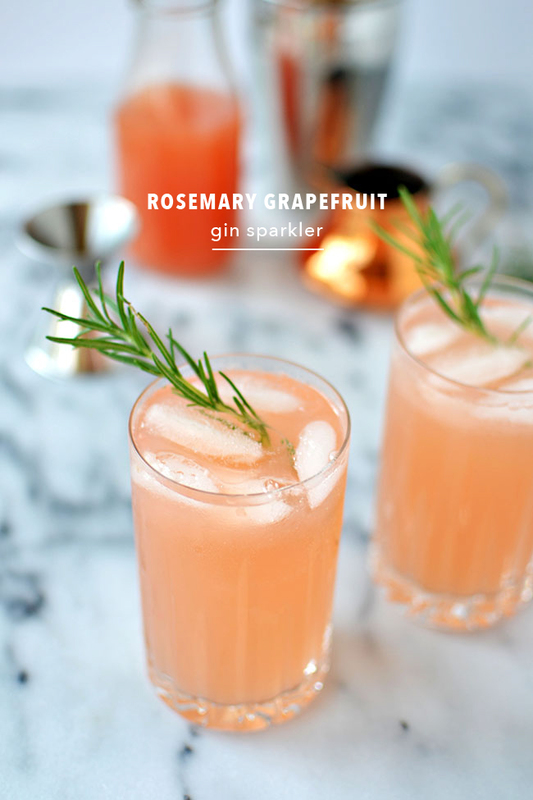 This rosemary grapefruit gin sparkler is going to help me do just that. 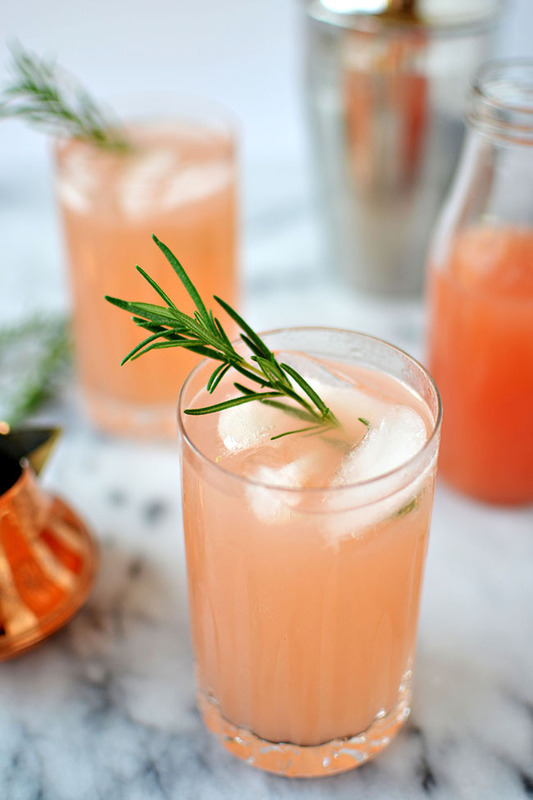 I like to think of this as a dressed up gin and tonic with the rosemary infused simple syrup and freshly squeezed grapefruit juice. 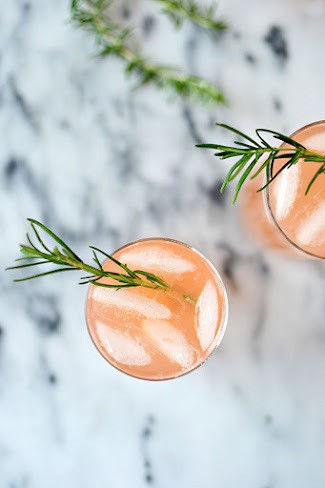 Whatever weather you're enjoying right now (or not enjoying), I promise this drink will help you extend summer just a little bit longer. Boil together the water and sugar in a small saucepan. Remove from heat and add the rosemary sprigs. Cover and let infuse for 30 minutes. 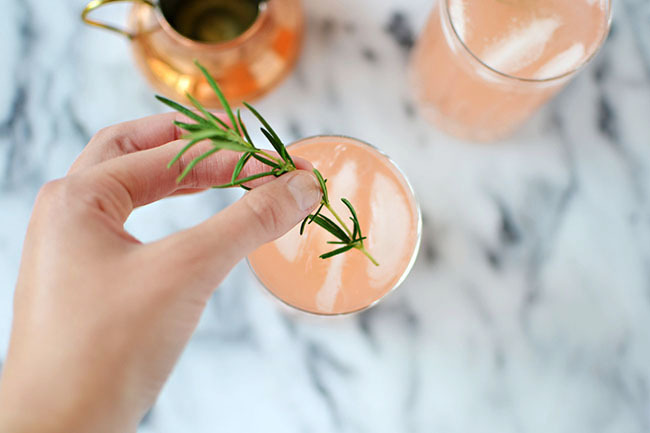 Remove rosemary and pour into a bottle or jar. 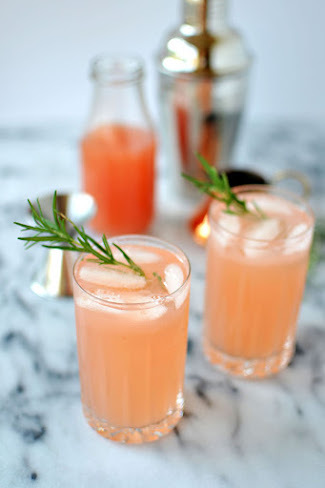 In a shaker, combine the gin, syrup, grapefruit juice and some ice. Shake for 5 seconds and strain into two glasses filled with ice. 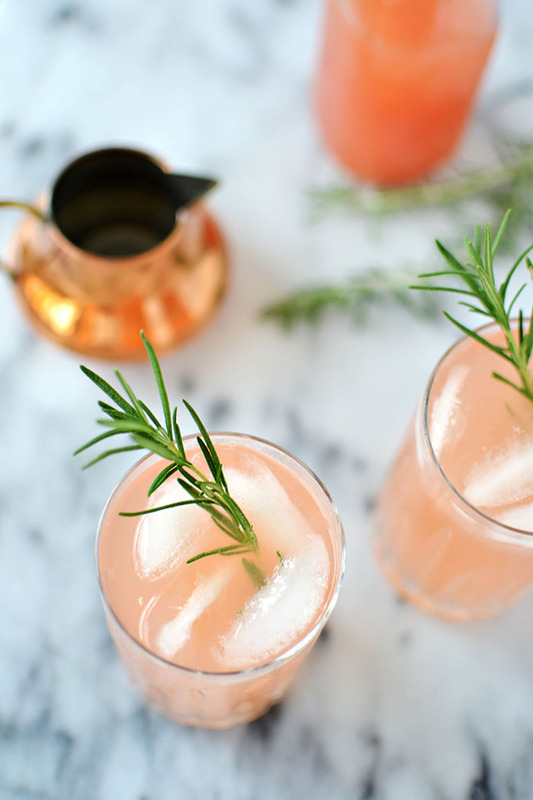 Top off with tonic water and garnish with a sprig of rosemary in each. Note: To make one drink, simply divide the ingredients in half but keep the syrup recipe the same. You can store the syrup in the fridge for up to one month! I love how your hands have been making plenty of cameo appearances.